Living a Fit and Full Life: Celebrate the Day with SONIC Drive-In's NEW Ice Cream Cookie Sandwiches + SONIC Nights = 1/2 Price Shakes & $1.49 Ice Cream Cookie Sandwiches! Celebrate the Day with SONIC Drive-In's NEW Ice Cream Cookie Sandwiches + SONIC Nights = 1/2 Price Shakes & $1.49 Ice Cream Cookie Sandwiches! 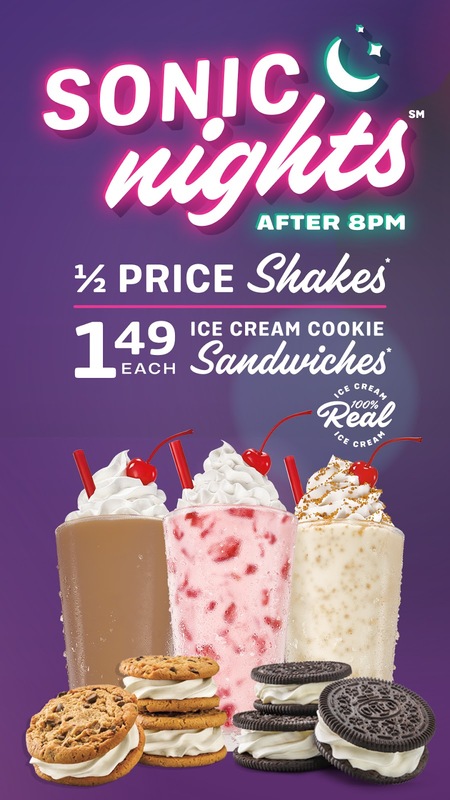 Celebrate the day with SONIC Drive-In's new Ice Cream Cookie Sandwiches plus SONIC Nights equal 1/2 price shakes and $1.49 Ice Cream Cookie Sandwiches! SONIC Drive-In is one of my family's favorite stops for treats and quick bites to eat. I've just recently discovered their new Ice Cream Cookie Sandwiches and I'm in love! 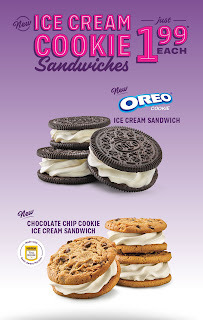 SONIC Drive-In's new Ice Cream Cookie Sandwiches come in OREO and Chocolate Chip Cookie and make the perfect treat. The cookies are the perfect texture and the ice cream is oh so good. At only $1.99 each, they're also extremely affordable. They also drop in price to $1.49 for SONIC Nights where you can also get 1/2 price shakes after 8PM. 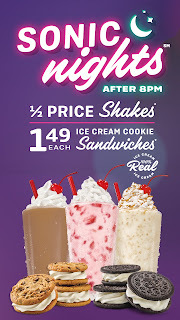 SONIC Drive-In's new Ice Cream Cookie Sandwiches are absolutely delicious and I'm loving Sonic Nights for 1/2 price shakes and $1.49 Ice Cream Cookie Sandwiches!